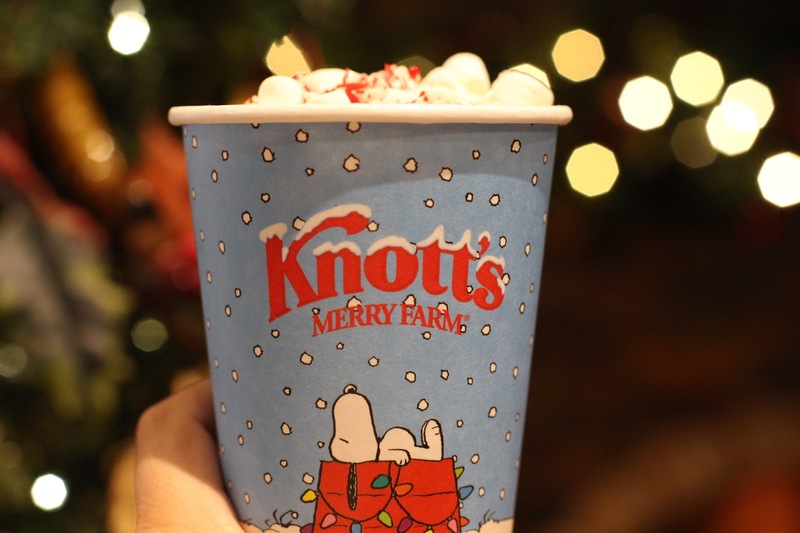 Five Reasons you want to go to Knott's Merry Farm! Disclosure: This post is a guest post by our contributor from Be Brave Keep Going. 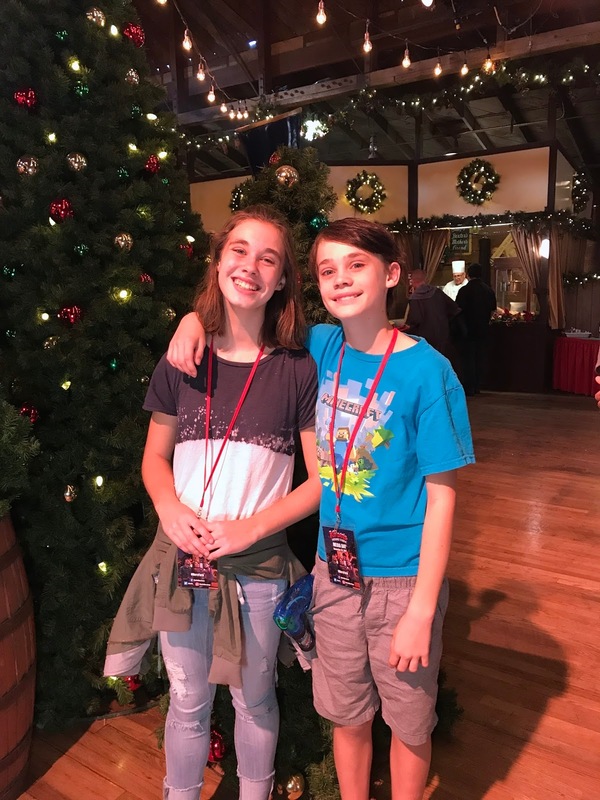 We were invited to a media event at Knott's Berry Farm. All opinions are own. 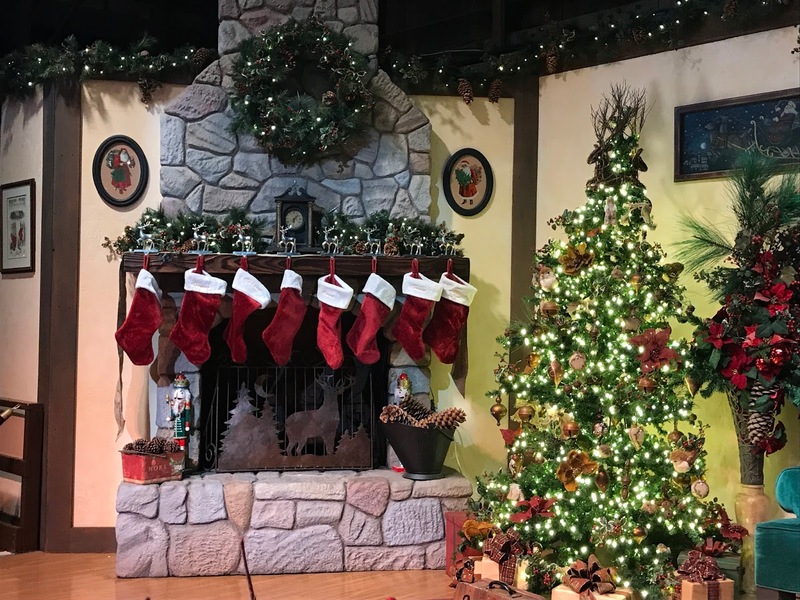 Every Year, Knott’s Berry Farm transforms into Knott’s Merry Farm for the holiday season. Knott’s Berry Farm is one of Southern California’s first theme parks with a wonderful history full of family fun. Knott’s Berry Farm at Christmas time is festive and magical. Merry Farm is a limited time weekend event that is perfect for family fun! You’ll find Snoopy dressed to nines, Santa Clause sitting by a cozy fire and decadent holiday treats, and plenty of rides! We had the chance to attend the media this year and we had a blast as a family. Knott’s Merry Farm runs every weekend from November 17 – January 7. This is a guest post by Michelle who blogs at Be Brave Keep Going. 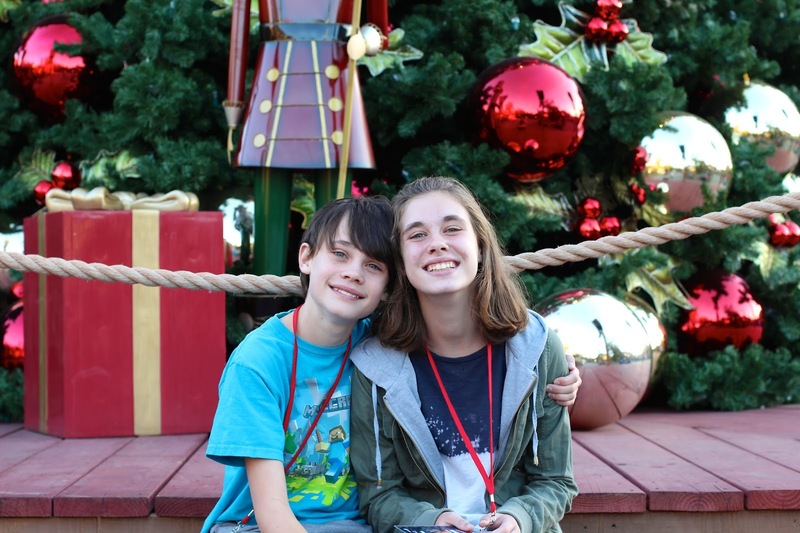 Here are our family’s top 5 reasons to visit Knott’s Merry Farm! This one of a kind Christmas Ice Show takes place at the Charles M. Shultz Theater inside Knott”s Berry Farm. 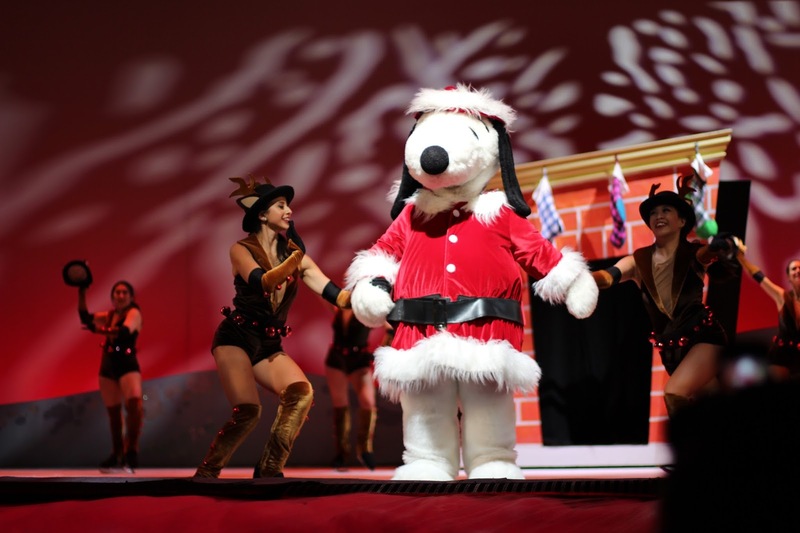 Set to backdrop of some of the most festive holiday songs, Snoopy and all of his pals float on the ice and spread Christmas cheer with every song. And we won’t tell you when, but it snows In our humble opinion, the Christmas ice show at Knott’s Berry Farm is worth the price of admission. It’s a must see! Tucked in the back of Ghost Town and on your way to the Pony Express ride, you will find Santa’s Christmas Cabin. It’s there, that you’ll enjoy not only one of a kind holiday foods as only Knott’s can do plus Santa sitting by the fire ready to greet park goers. We sampled warm roasted cashews, almonds and walnuts. We drank homemade cookies and milk. We devoured the authentic tamales. We sipped some craft beer and ended with chocolate dipped cheesecake-on-a-stick. Honestly, it was all so tasty, I can’t pick a favorite! Okay, it’s the cheesecake. I mean come on, cheesecake on a stick dipped in chocolate? Yes, please! Every year, it snows at Knott’s Berry Farm. Ghost Town lights up, holiday music plays and the “snow” starts falling around 6:30pm every evening and then every hour after that. It’s definitely worth making the time to see this fun light and snow show at Knott’s Berry Farm. Knott’s has a beautiful authentic steam engine that wraps around the theme park. 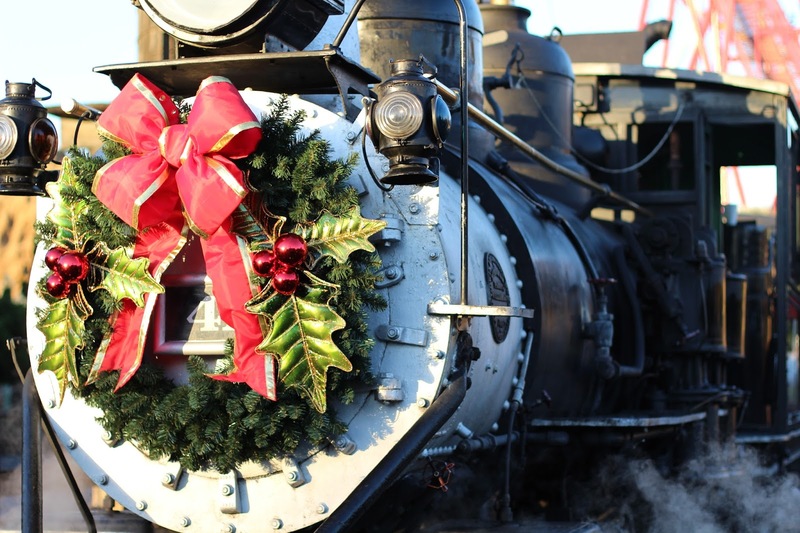 During the Christmas season, you’ll experience storytellers in authentic victorian era costumes who regale train riders with improved stories. If you love Snoopy like we do, you can get a photo with him inside Camp Snoopy all day. There is a dedicated Character Meet-And-Greet area where Snoopy is waiting just for you! You’ll also be able see all Snoopy’s friends like Charlie Brown, Linus, Lucy, Franklin and the whole Peanuts Gang. Send a letter to Santa! There is a mailbox inside Santa’s Christmas Cabin where your little ones can drop off their wish list to Old Saint Nick. The holiday decorations are festive and beautiful and themed to each area of Knott’s Berry Farm. Interact with the horses of Knott’s Berry Farm at the Livery Stable in Ghost Town. Watch the wood carver carve masterpieces with a chainsaw in Ghost Town. Walk through Ghost Town and shop the many artisan craft booths. Watch the glass blower make tiny glass trinkets in the Glass Blown Art Ahop inside Ghost Town. Victorian Era Christmas Carolers stroll through Ghost Town singing beautiful carols. This looks so fun and I wish it was close to us! This looks like a fun place to visit during the holiday. 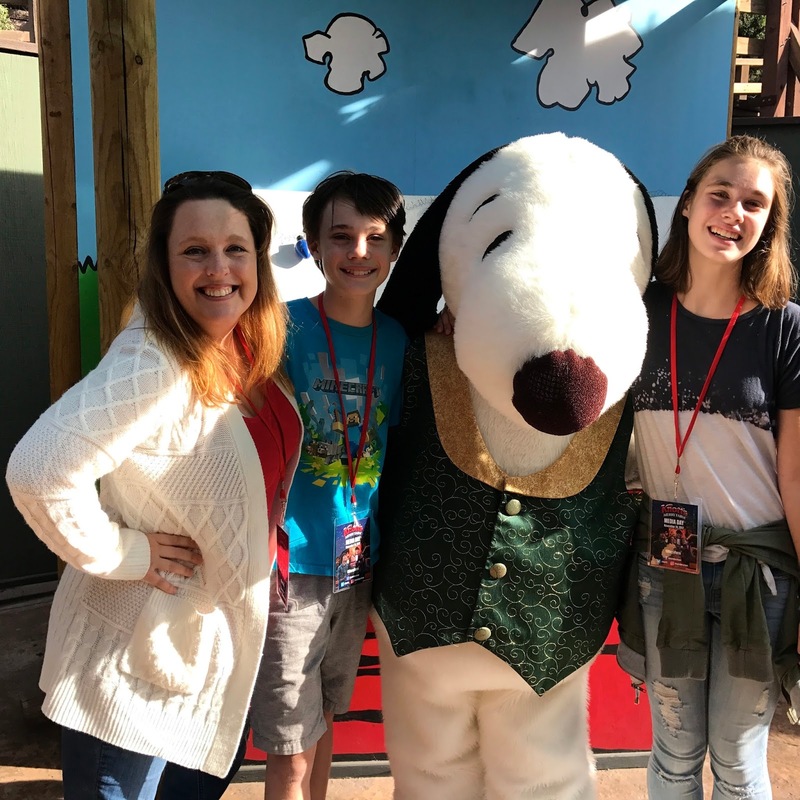 We love to visit snoopy at cedar point, it would be awesome to show my kids that snoopy also goes to other places! We arent close by to one now. Hubby visited many years ago and likely much has changed when his father was stationed nearby. I love Snoopy!